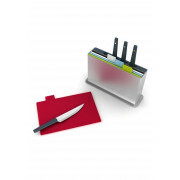 Index Plus chopping board features a categorisation system designed to reduce the likelihood of cross-contamination of different food types. 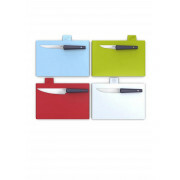 Set of 4 colour-coded chopping boards with index-style tabs for easy selection. Boards clearly labelled for preparing raw meat, fish, vegetables and cooked food. 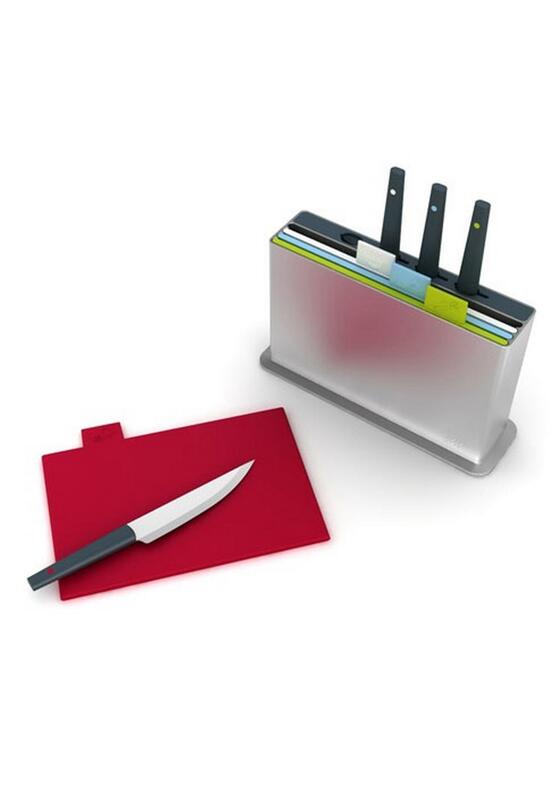 Each corresponding knife is also colour-coded accordingly.